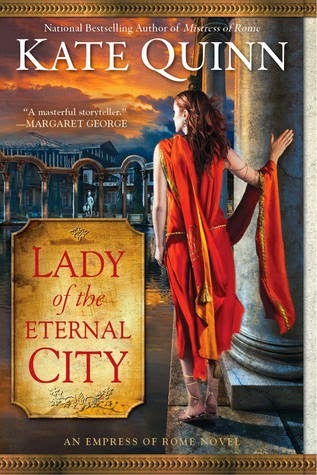 My Review: Lady of The Eternal City takes place during the reign of Emperor Hadrian. The two main characters of the story are Empress Sabina, Hadrian’s wife, and Vix, a former slave turned warrior. Sabina has to make the peace between Hadrian and Vix, who are always at each other’s throats. Their animosity towards each other heats up when Antinous, Vix’s adopted son, catches the Emperor’s eye. Sabina has to keep the two of them at bay and help her husband while he is descending into madness, all the while trying to save the Roman Empire. Sabina is really a strong heroine. She is fierce and wise. She cares deeply for her people, and usually extends mercy to her subjects. She is not afraid to stand up to Hadrian if she feels she can guide him to become a better ruler. It is obvious that Hadrian admires and respects her, for when Sabina gives him her sound judgment, Hadrian follows it even though he is mad at her interference. I also like Sabina’s relationship with Vix. It shows that she still has feelings for him. I also liked the other characters such as Vix, who is emotionally-damaged. I loved his relationship with his adopted son, Antinous. I also found Hadrian to be a fascinating character. At first, I found him to be cruel, rude, and arrogant, yet later, as the novel progress, there was more to Hadrian than meets the surface. He is a character who wants to do the right thing and to be a good emperor. The relationship between Antinous and Hadrian was very intimate, and it didn’t show Hadrian as a mean person. My favorite character in this novel is Annia. 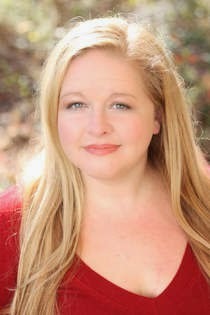 She is spirited, observant, and fun. She acted more like a boy than a girl. She was really cute. She reminded me a lot like Vanellope in Wreck-It Ralph. I found the writing to be very well-written, and I liked descriptions of the Roman Empire. However, this novel was not a standalone. I had not read any of the other books in her series, so it was hard for me to read and get into. I was really confused about the characters and the plot. It was like watching a new movie only to watch it from the middle to the end. I definitely did not know which character was who and what had happened before then to get to this point. Because of this, I did not really enjoy the novel as I would have had I read her Roman novels. I would definitely have enjoyed the novel better, and reading this book would be like a treat to me. Overall, this book is about regrets, love, loss, tragedy, and choices. The characters are well-developed, and the setting was beautiful. I really loved her writing. Because I didn’t read her other novels, I was really confused. I think I am going to read her first Roman novel, Mistress of Rome, and the other novels in this series then go back and re-read Lady of the Eternal City again. Once I do, I will not only have a good understanding of the plot, but my opinion of this book and the series will also change. I will probably have to write another review on this novel in the future once I am caught up. I recommend this to anyone who is a fan of Kate Quinn’s novels and the Roman Empire. Thank you for a lovely review! So glad you enjoyed LEC. Your welcome! I am going to read Mistress of Rome soon! I requested all your Roman series through interlibrary loan!